The S 803 HCS is the most compact system of the Jamo STUDIO 8 series. 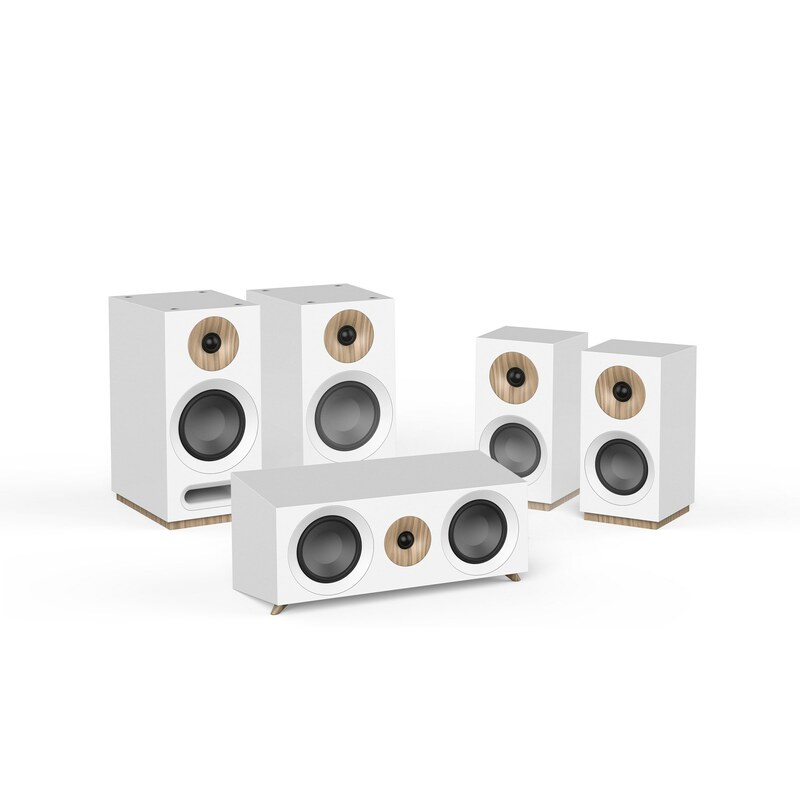 Dual S 803 Dolby Atmos ready bookshelf speakers, a perfectly tuned center channel speaker, and two S 801 speakers for surround sound add up to and incredible yet compact home theater. Fully magnetic grilles – no mounting holds or push pins – for a clean, minimalist front baffle design.